Since 1988, LodgeCraft has proudly assembled the highest quality rustic bedroom furniture sets, and we have strong relationships with some of the nation's leading furniture manufacturers. 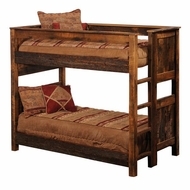 As one of the leading rustic bedroom décor providers nationwide, our goal is to provide you with the best rustic and lodge style furniture selection online. To complement your home's unique décor, choose from a variety of styles, including log, mission, and rustic bedroom furniture sets. Whether you are moving into a new home or turning the master bedroom into a rustic bedroom suite, we offer a great selection of wood types and finish options that will match your style and budget. 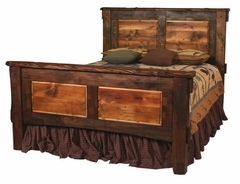 For a unique rustic bedroom suite that anyone will enjoy, check out our cherry mission, oak mission, pine log bedroom furniture as well as our rustic reclaimed barnwood furniture. 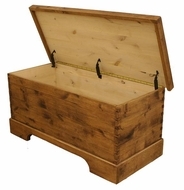 We also offer beautiful alder or pine bedroom furniture directly from our LodgeCraft workshop. Each category link lists all types of lodge bedroom furniture, from pine and aspen log to reclaimed barnwood and mission styles. To create the rustic bedroom suite you have always wanted, feel free to either shop our beautiful selection of rustic bedroom décor and accessories online. 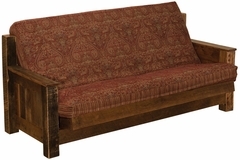 You can also visit our Montana showroom to view our furniture in person.